Army SC is on a roll in the 2nd Round of the DRL as they drowned Navy SC 27 points to 25 at Welisara, earlier today. 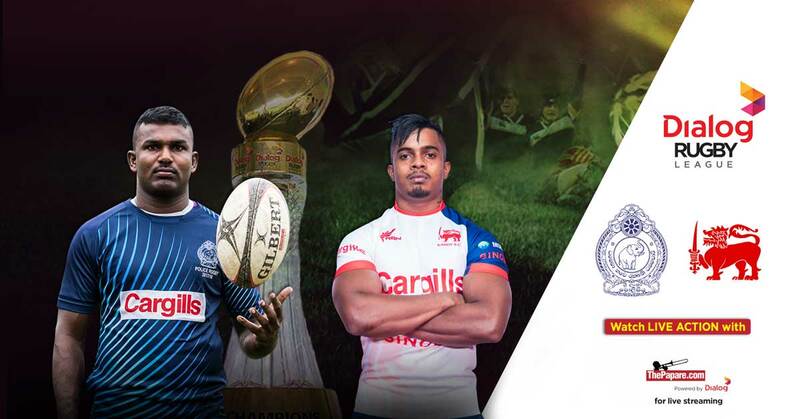 The scores read 17 – 14 at half time in favour of the home team, but a late surge in the dying minutes of the game saw the tables turn with Army ending up victorious. The next 20 minutes was dominated by Weerasinghe, who made amends for missing two easy penalties earlier in the game. But, before half-time, he managed to score two tries and convert one, putting his team on the front foot whilst Army was a man down. However, his misery with the boot continued as he missed a third penalty and failed to find touch. 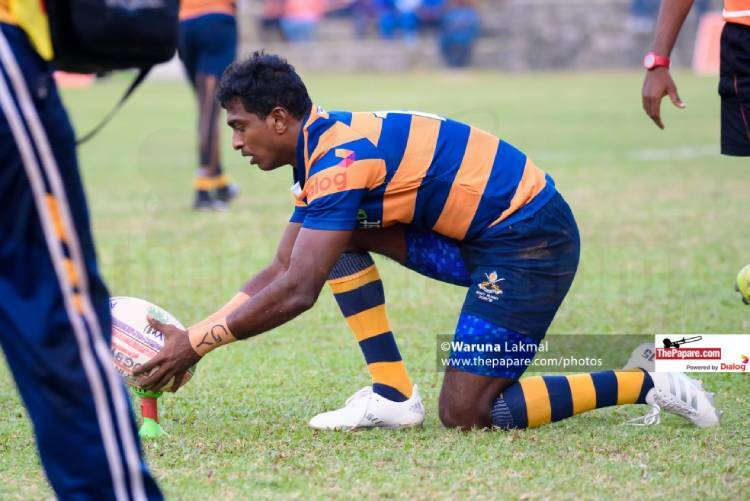 Capitalizing on the opportunity, Isuru Madagedara sneaked through Chathura Senavirathna in the far corner and scored a try for Army at the brink of half-time. He managed to bridge the gap to just two points after successfully converting his try from a difficult angle. Gayan Salida kicked the final minute penalty to bring Army a 27-25 win! 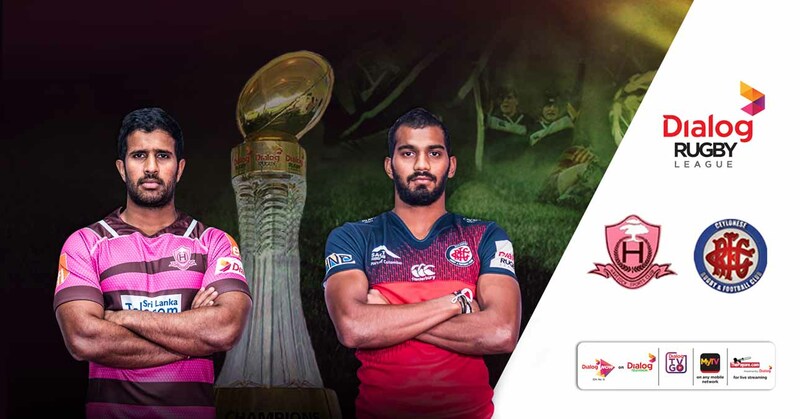 The final half got off to a perfect start for the home team, Chathura Senavirathna bumped off his opposite number in the far corner and dove over to expand his team’s lead. Although things looked bright for Navy, a bit of a raucous was caused by Navy supporters off the field, which led to several minutes of stoppage in play, allowing Army to gather themselves and make a comeback. Ashan Bandara scored a solitary try almost immediately as the game resumed after Navy gave away possession cheaply. There on, Army were closing in on the Saliors as usual and #15 Gayan Salinda made an impact right from his first touch coming into the field. Just when it seemed like things were going the visitor’s way, Weerasinghe slotted in a three pointer with just 20 minutes remaining on the clock. 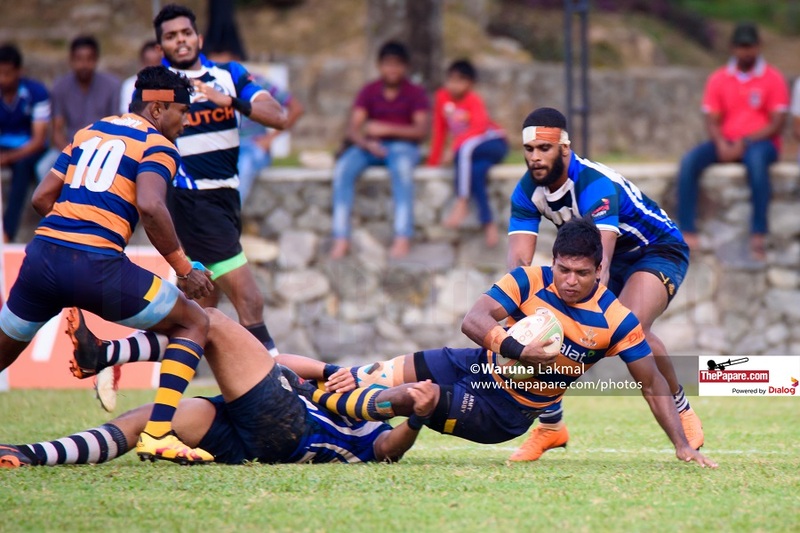 Trailing 19 points to 25, it was a race against time for Army who were on another ‘David and Goliath’ like mission, trying to beat Navy just as they did against Kandy up in Nittawela. It was that man, Gayan Salinda who rose to the occasion, scoring all 8 points for Army who emerged victorious. In the 72nd minute, the nippy full-back finished a well-executed in the near corner, after his team dominated a scrum inside the Navy ’22. 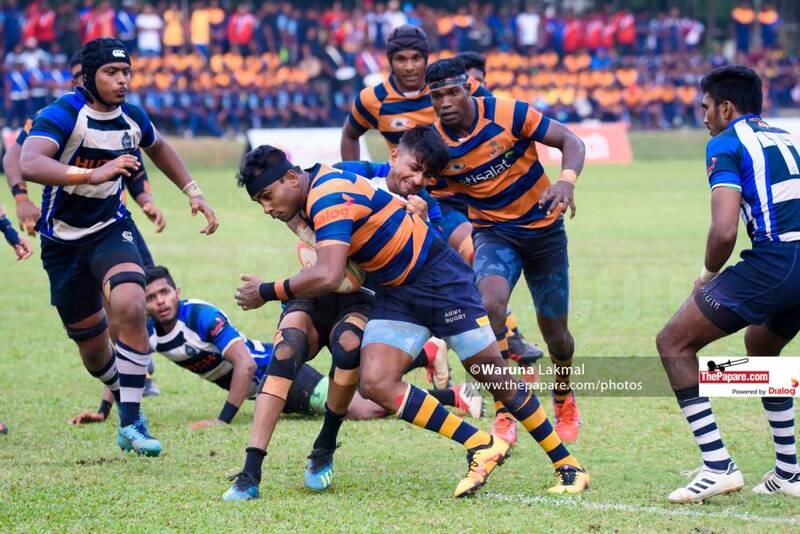 Although he failed to convert that try, leaving his team just one point away from facing defeat – Salinda kicked a 3 pointer after Adeesha Weerathunga was sent off in the final minute, giving the game away to the spirited Soldiers. As his kick sailed through the uprights, Referee Aqeel Jamaldeen blew the final whistle confirming another giant slaying performance by the Army team.